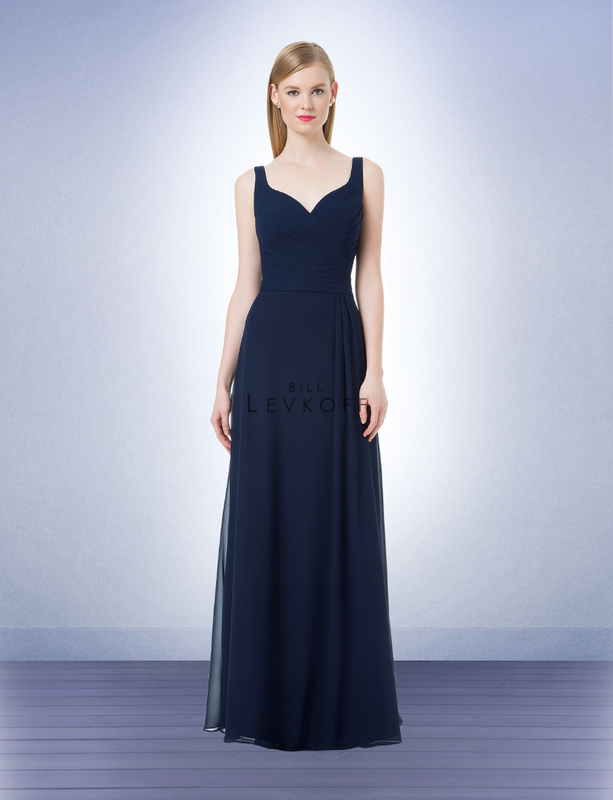 Bill Levkoff Bridesmaid Style 1213 is a Chiffon gown with a sweetheart neckline and shoulder straps. 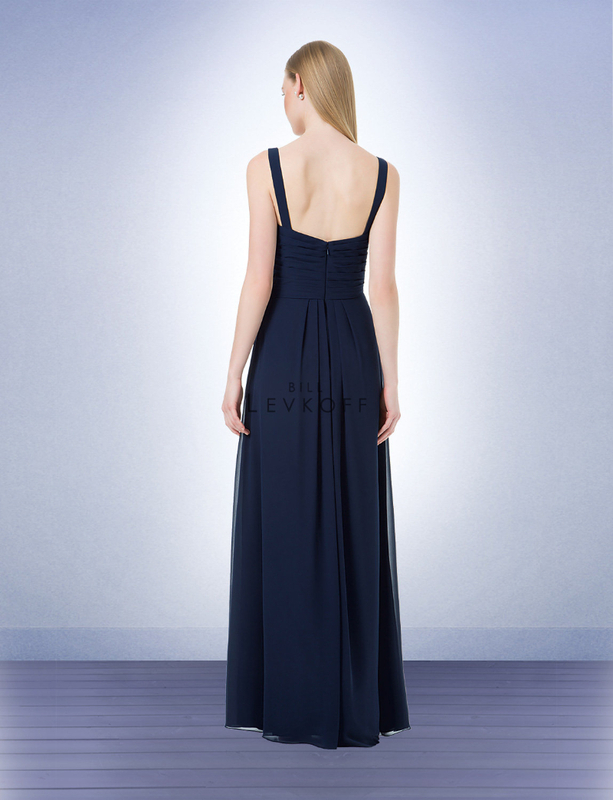 Pleated surplice top. A-Line skirt with off center pleats. Please note that delivery times are estimated, and change daily. It can sometime take up to 4 months for regular delivery.